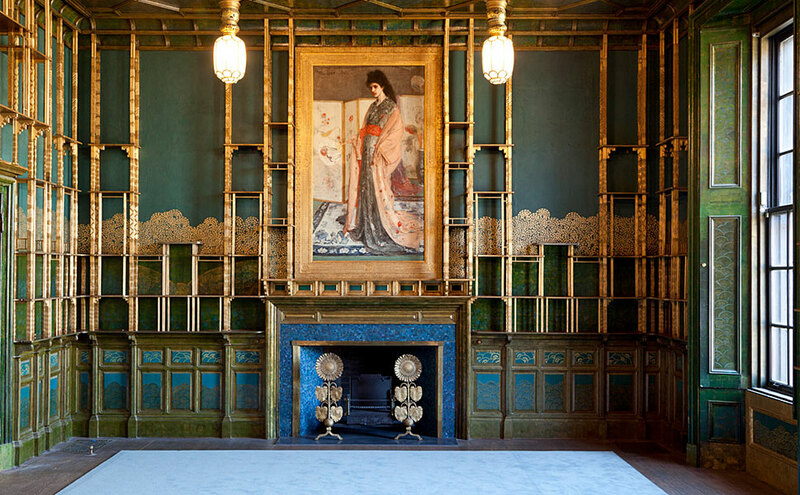 For a limited time, enjoy the Peacock Room as Whistler saw it—as a work of art in itself. The shelves of the Peacock Room are empty prior to an installation of Chinese blue-and-white porcelain of the type that filled the room in the late nineteenth century. Here is a rare chance to examine the peacock patterns and color harmonies Whistler created in this icon of American art.